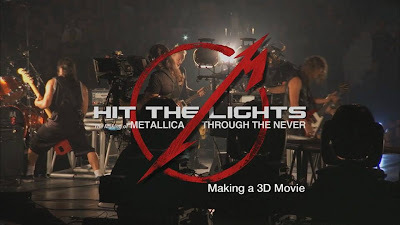 Metallica are debuting the first two episodes of “Hit The Lights: The Making of Metallica Through The Never”, their upcoming 3D film which debuted Monday at the Toronto International Film Festival. The behind-the-scenes project is designed to tell fans everything they ever wanted to know about the making of the movie and the groundbreaking stage production that is an integral part of the film. 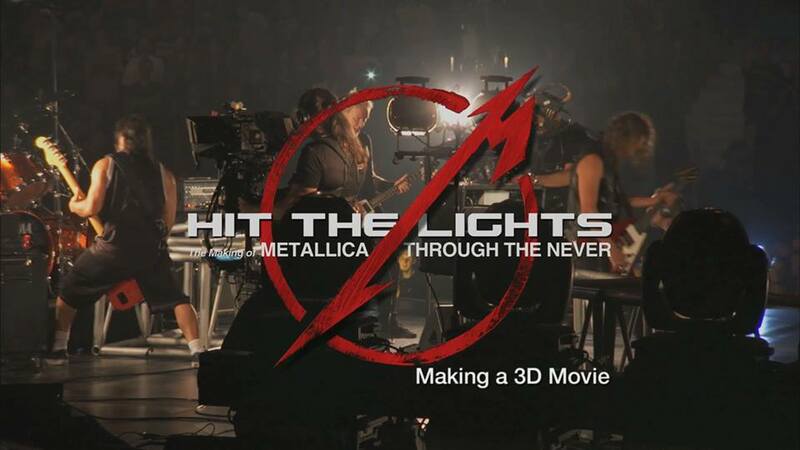 The entire production was several years in the making and documented by filmmaker Adam Dubin and producer Jack Gulick, both veterans of "A Year And A Half In The Life Of Metallica." From the first planning meetings to the "rehearsal" shows in Mexico City to the final filming in Vancouver, Adam and his crew were there. Metallica are debuting the first two of eleven chapters in the video series, which will also include some bonus live concert footage. “Through The Never” tells the story of a band crew member named Trip (played by Dane DeHaan) who is sent out on a mission during Metallica's live set in front of a sold-out arena: to meet a disabled truck and retrieve a particular item. However, the routine task turns into a surreal odyssey when Trip's van is hit by another vehicle, and he subsequently finds himself up against a death-dealing horseman. As Trip flees through desolate streets, he has only his wits to help him avoid the deadly horseman and deliver Metallica's cargo." The movie will debut in IMAX theatres across North America for a one-week engagement starting Friday, September 27; it will then expand into additional theatres on October 4.